Is Steve Bruce on course to bring Aston Villa back to the Premier League? A lot has happened with Aston Villa in the past few years. First they were relegated, and then the owners changed. The future was unknown as they started their long and loosing run in Championship. In October 2016, Steve Bruce was appointed as a new Aston Villa manager. With him in charge, their loosing run ended and they started getting some better results. However, they still weren’t good enough to fight for a promotion. It would be nothing new for Aston Villa to play in Premier League, but first they have to prove that they are good enough for that and getting good results in Championship is the only way to prove. This summer they proved that they mean business, they brought few great players and they straightened their squad to compete for a promotion. Maybe they haven’t spent much money this summer, but they brought all the right players. With quite a lot of goals conceded last season, they really needed a good centre-back and with John Terry they didn’t only get a great defender, but they also got a leader – something that they lacked the season before. Being a big club can sometimes help you bringing in big names like John Terry is. And with him, Aston Villa really straightened their defensive line. Glenn Whelan came from Stoke for £1m and defensive midfielder has played almost every game for Villa this season. Robert Snodgrass came on loan from West Ham and with a little bit of time he settled down quite easily. Josh Onomah, who also came on loan, managed to get himself in first eleven after playing some games from the bench. Ahmed Elmohamady, who played for Steve Bruce before at Hull, also came to help Aston Villa straighten their defence. Goalkeeper, Sam Johnstone, who came on loan from Manchester United has been magnificent so far this season. Is their attack good enough this season? Jonathan Kodija is having a hard time getting his last season form back. With 19 goals in 36 appearances last season, he was Aston Villa’s top scorer. With striker like him, it is only a matter of time when he’s going to hit his form back. When he’s in the good form, Scott Hogan can be a real danger for an opponent’s net. But with him being so injury prone, you can never let yourself depending on him. However, they still have a promising youth. Callum O’Hare has been great so far and he’s played a few games for Aston Villa in Carabao Cup. Even if Scott Hogan gets injured and Jonathan Kodija doesn’t find his form again, there are a few young players that can help Aston Villa stay on top. What can prevent Aston Villa for finishing in top 6? With January coming, transfer rumors are coming too. And the only thing that can prevent Aston Villa finishing in top 6 can be losing some of their most important players. Both Watford and Middlesbrough are looking to bring Albert Adomah, as right winger has been scoring some excellent goals for Aston Villa this season. Ghanaian has been Aston Villa top scorer so far this season, and as he is playing so great, it is hard not to notice him. As Roy Hodgson is looking for new defenders, there is a possibility that James Chester will be heading to Crystal Palace in January. He helped Aston Villa get 7 clean sheets in 15 games so far this season and there is no doubt that he is a great defender. Keinan Davis has showed some amazing skills for Aston Villa this season, and now he can be heading to Manchester United. 19 years old striker scored 2 goals so far this season, and he scored both coming from a bench. Next few fixtures should be easy for Aston Villa? Before they meet with some of the best clubs in Championship, Aston Villa will have a few easy fixtures. Playing with clubs like QPR and Sunderland should be a chance for Aston Villa to get some points before they meet with Leeds, Derby and Sheffield United. Aston Villa seems prepared and ready to fight for the promotion, but still, there is a big road ahead of them before we watch them playing in Premier League again. 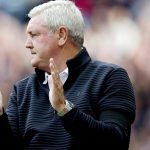 The post Is Steve Bruce on course to bring Aston Villa back to the Premier League? appeared first on Come On Lads.